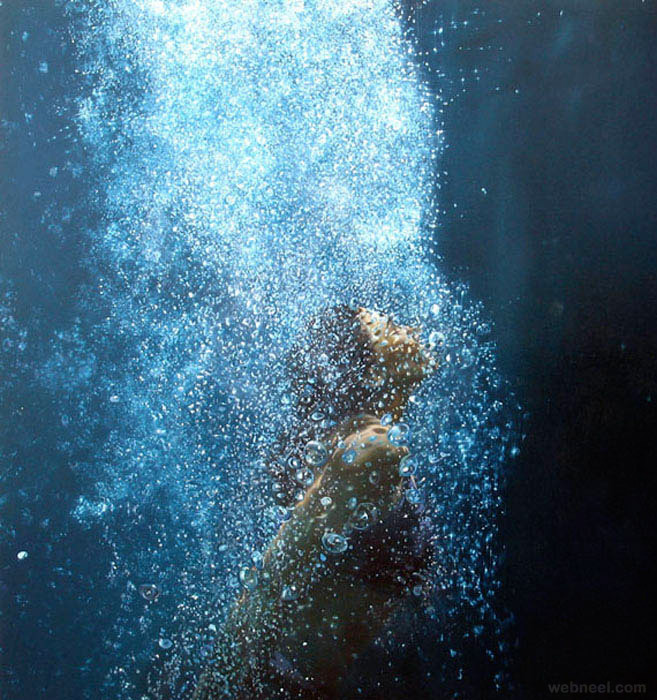 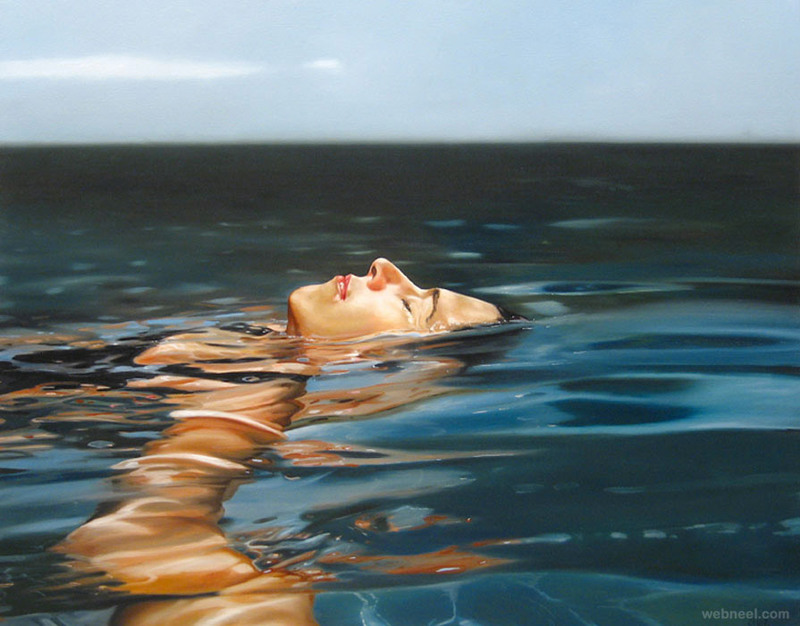 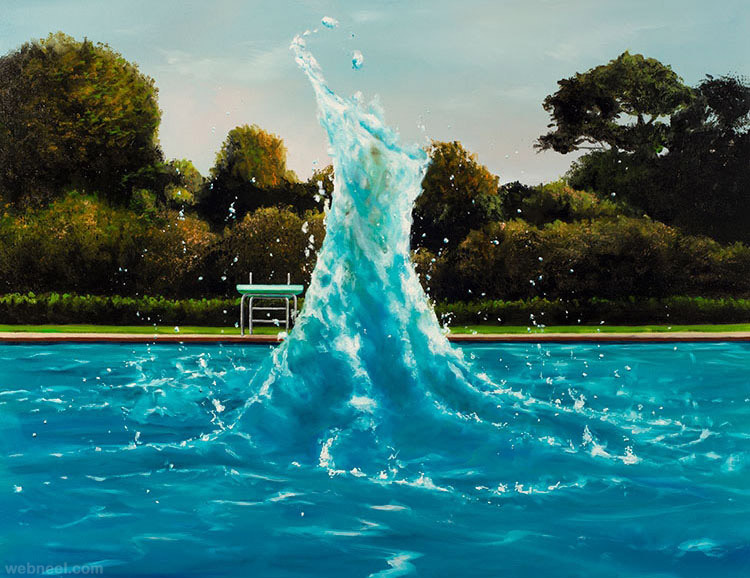 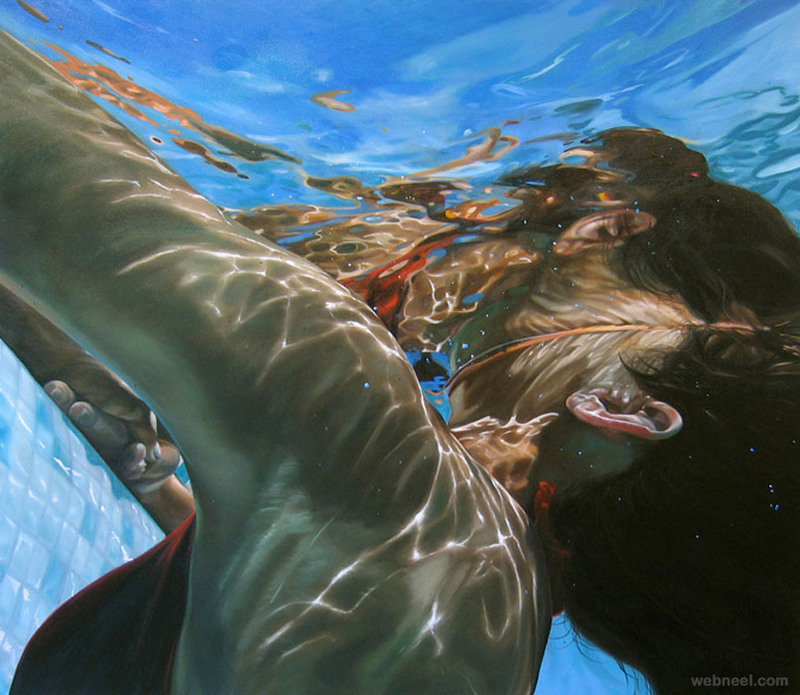 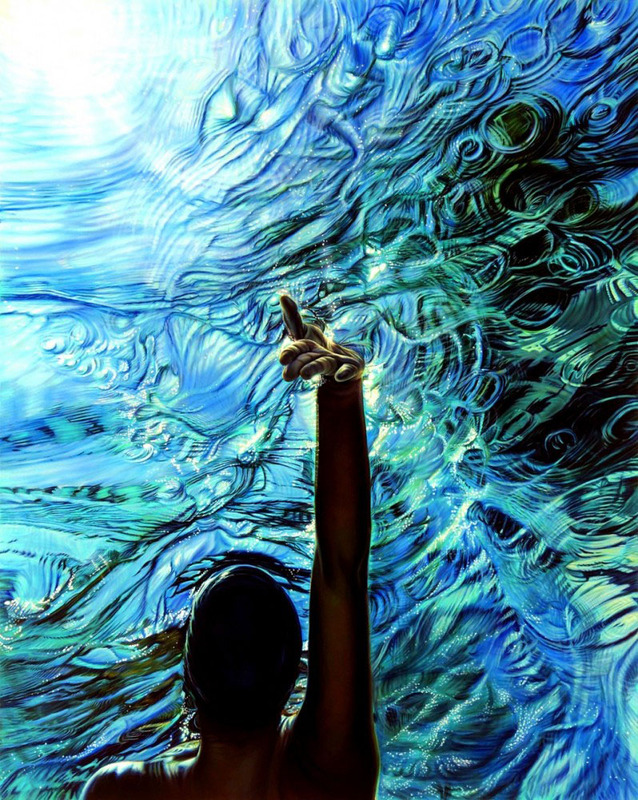 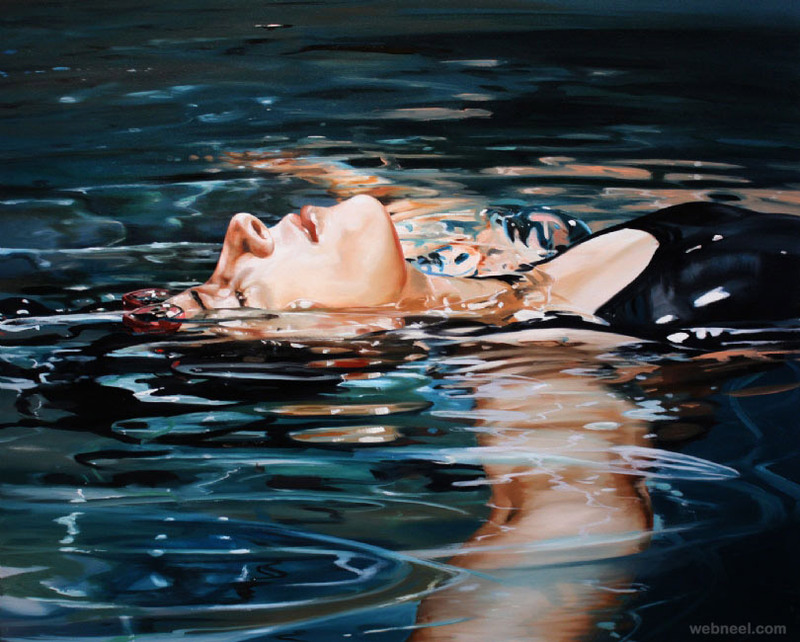 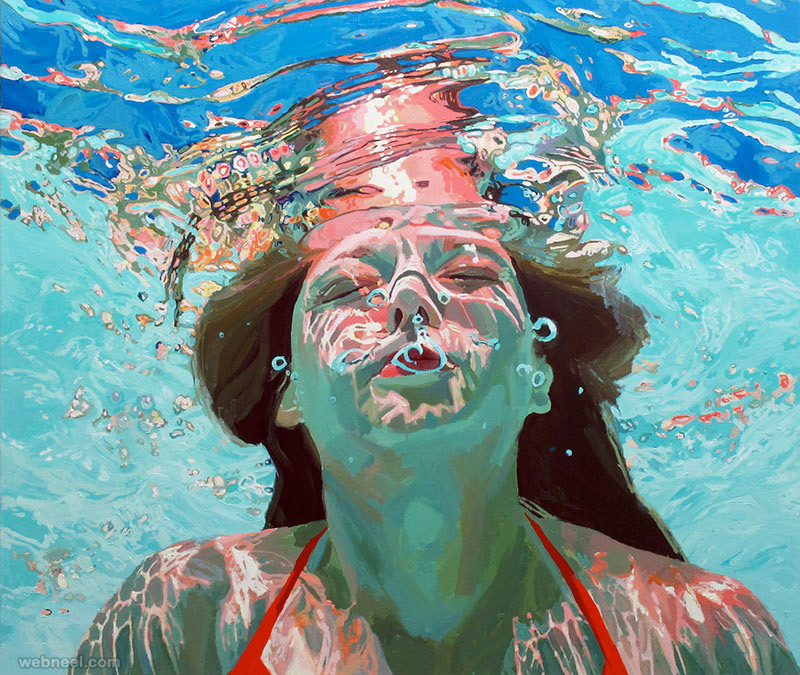 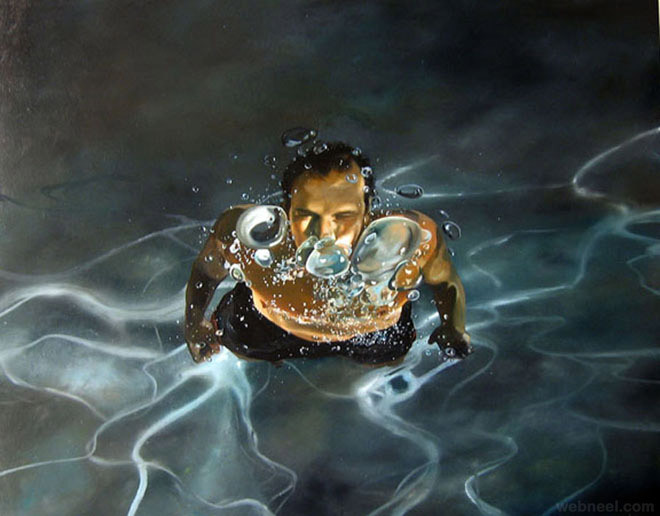 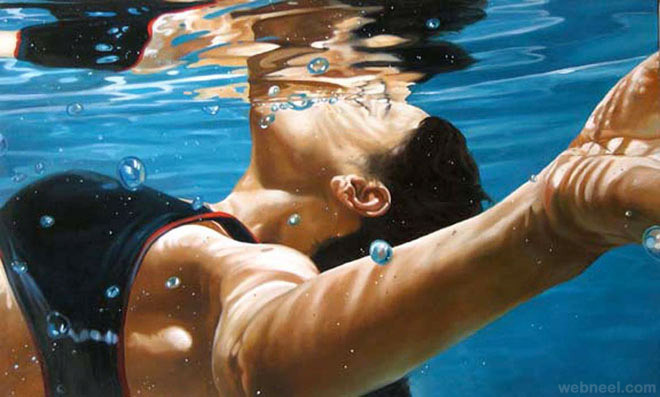 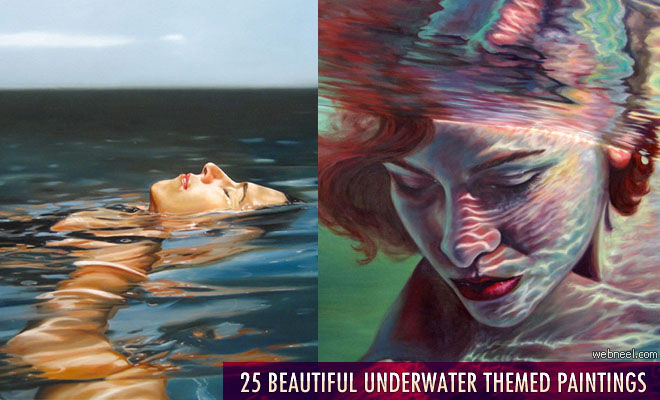 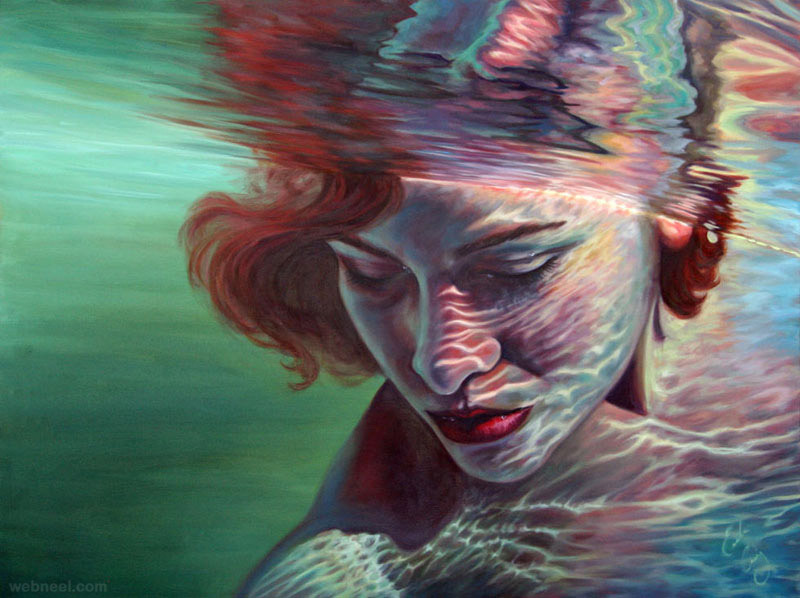 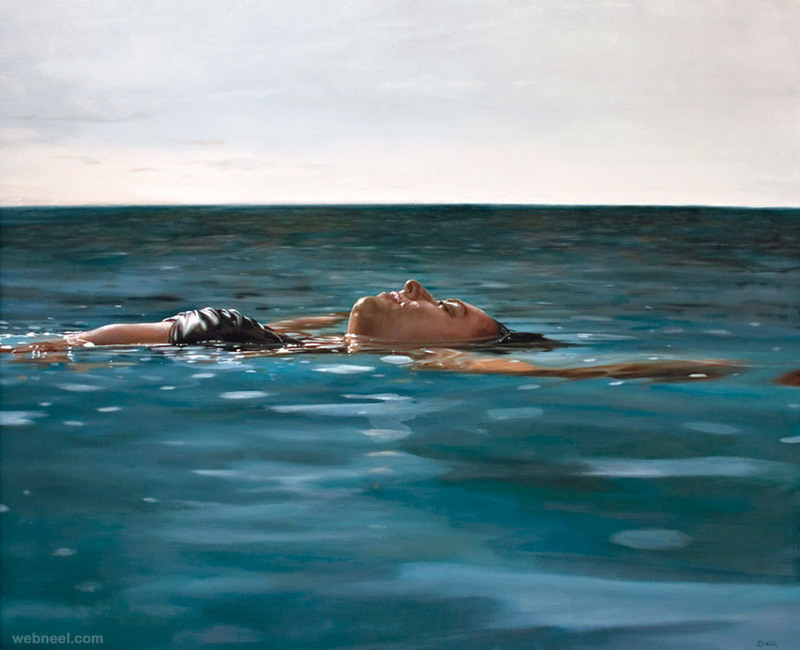 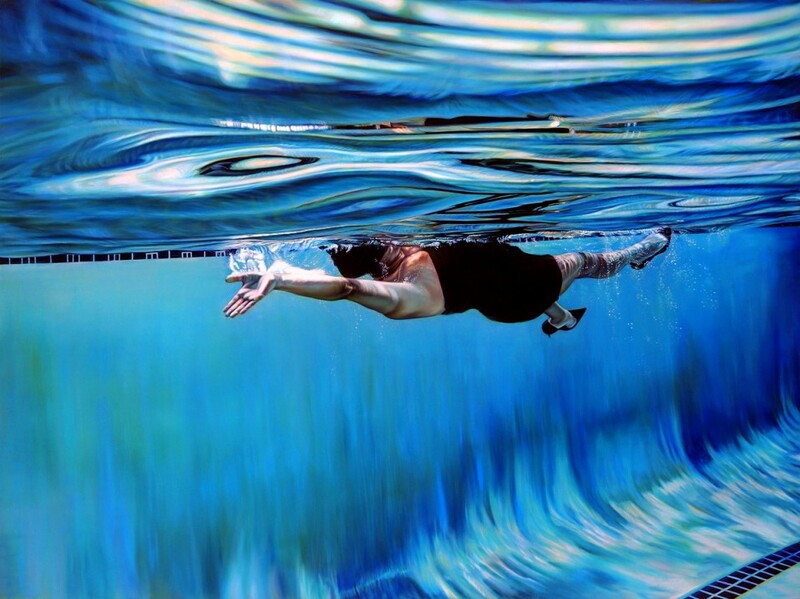 Underwater Paintings by Eric Zener: Eric Zener's work has been exhibited in the United States, and internationally, for over 20 years. 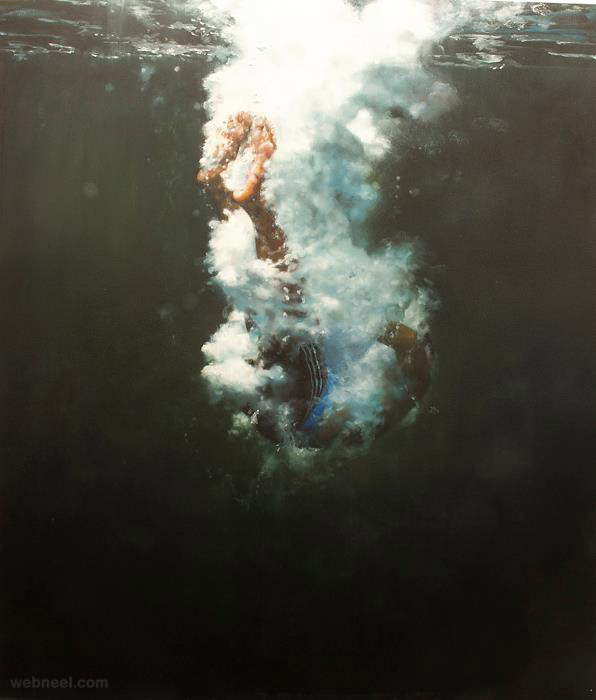 His solo exhibition history has largely been with his long standing dealers in San Francisco and New York. 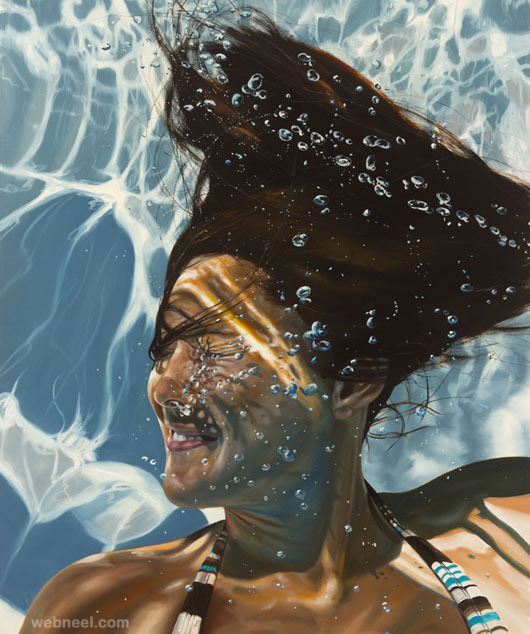 Additionally numerous shows in Asia, Australia, Europe and other galleries in the US have been part of this artist's curriculum. 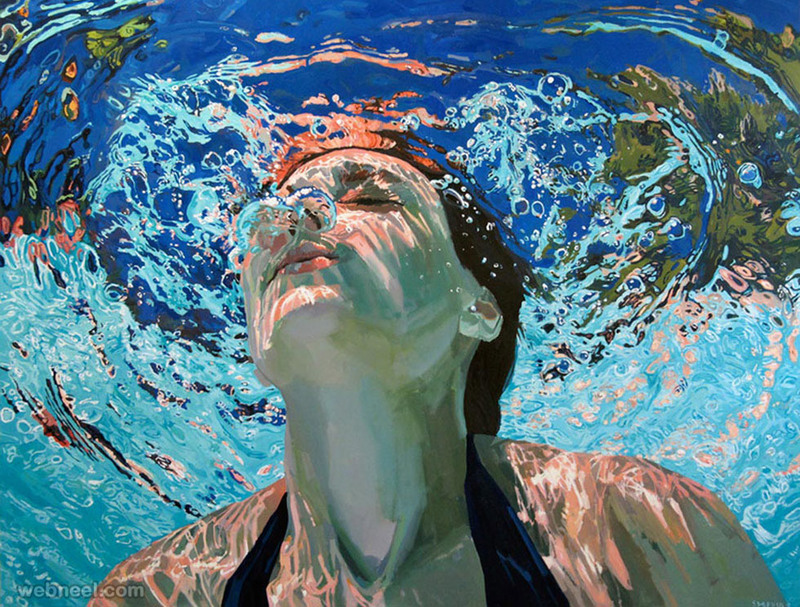 Paintings by Ana Teresa Fernandez: Like everyone else, I’m easily drawn to the world of arts and visuals. 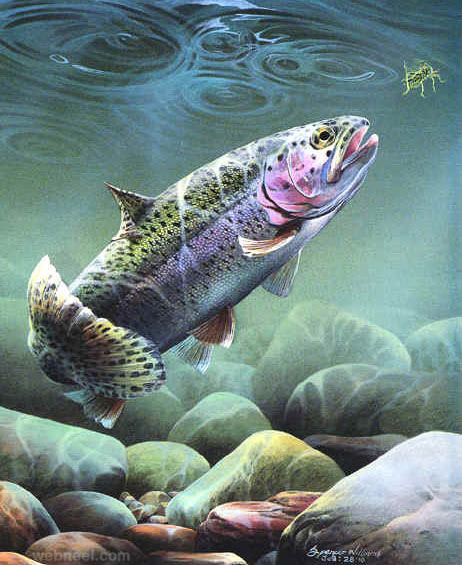 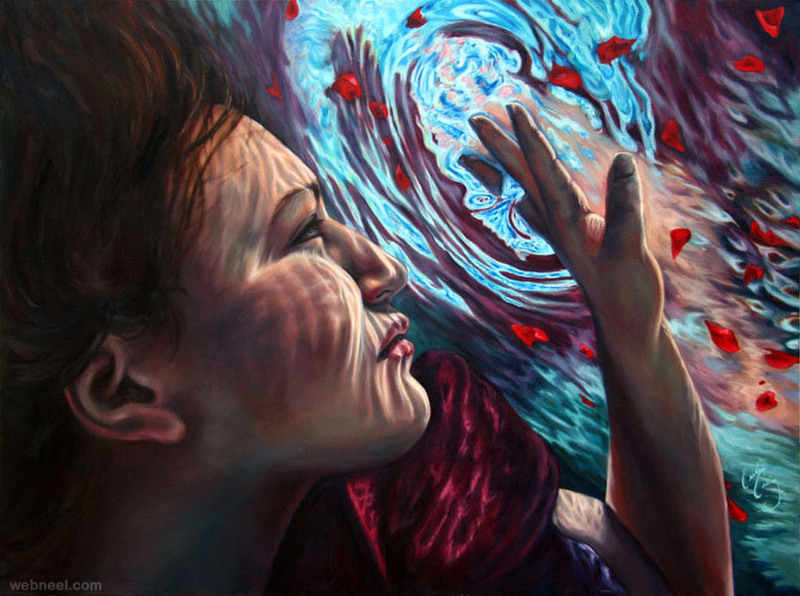 When I see galleries of paintings in public like malls and bazaar – I can’t help but stop and take a look at some art piece which usually amazed me and feels like I’m content of just looking at them. 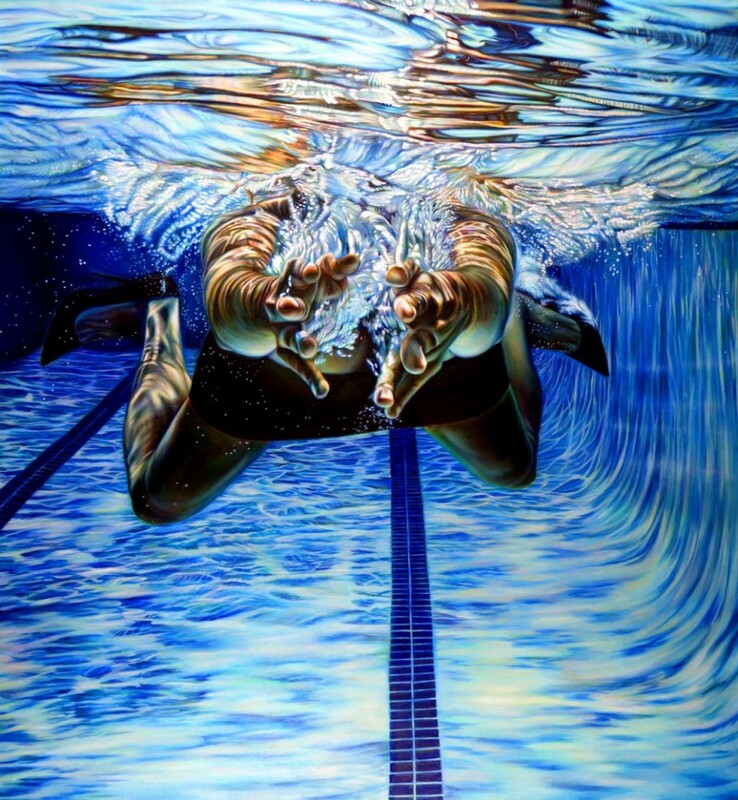 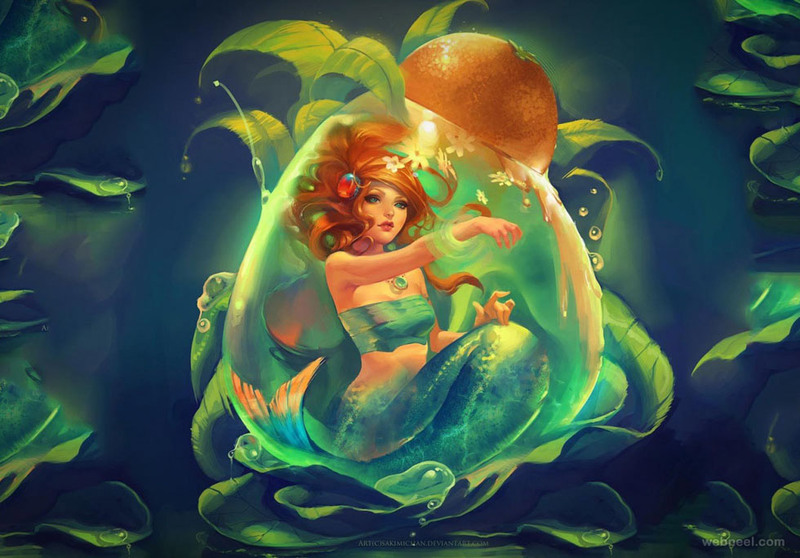 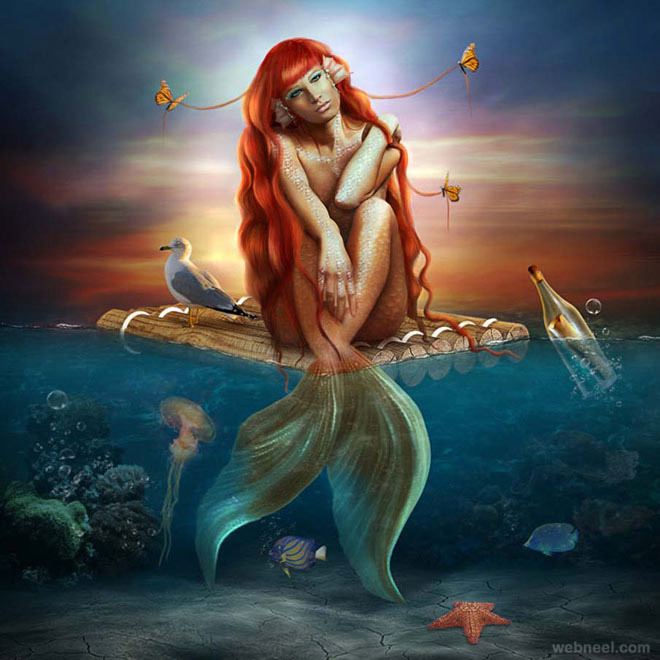 Recently, I was scanning (I mean surfing) across the web when I stumble a picture showing a swimming woman in pool. 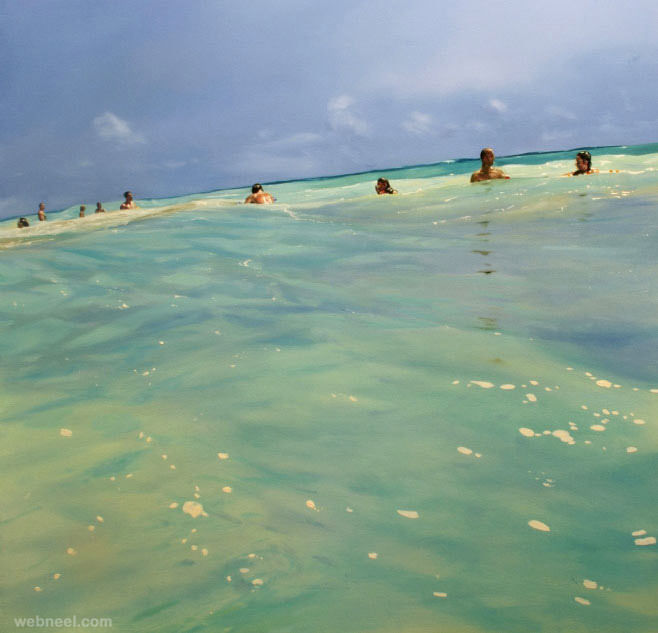 I didn’t hesitate to research who’s the photographer then what makes me feel like a fool is that, it’s actually a painting by a great painter from Mexico - Ana Teresa Fernandez. 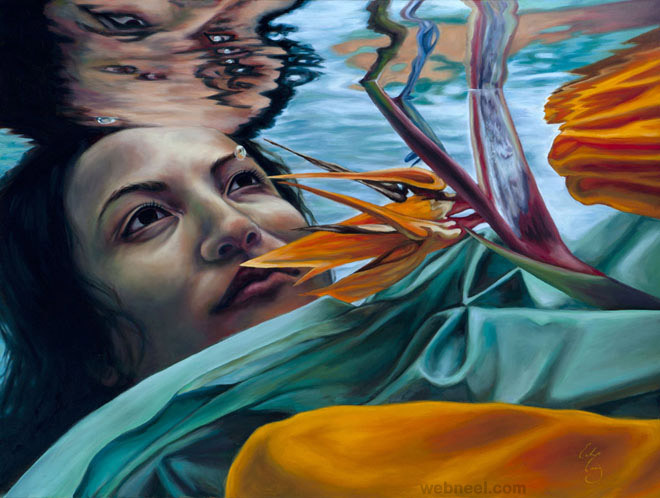 Let’s talk about her, she holds a master’s degree in Fine Arts at San Francisco Art Institute and has exhibited internationally in Mexico and South Africa. 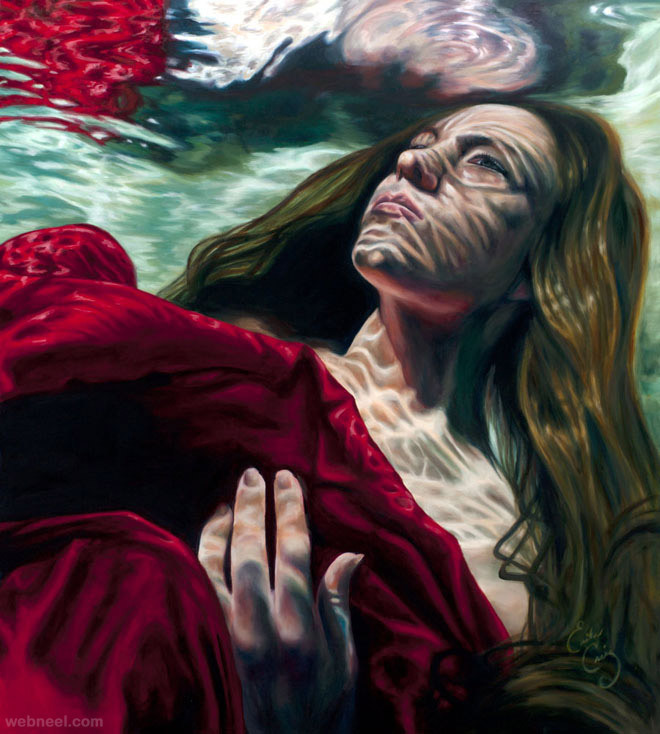 Her paintings attack the double standard imposed on women, showing them performing menial tasks like laundry and sweeping.